Can a Divorce Be Finalized With a House Sale Pending? Divorcing and selling real estate can both take a long time – months or even years – and the chances of both events reaching a conclusion simultaneously are minimal. If you decide to sell the family home, it may happen before you're officially divorced or you might be divorced before a buyer comes along. You can make provisions for the home's sale in your settlement agreement if your divorce finalizes first, or the court can order disposition of the proceeds if you divorce by trial. A divorce decree or marital settlement agreement can deal with issues that won't occur until sometime in the future. This may be the case if your divorce wraps up before you find a buyer for your home, or if settlement is scheduled for a date after your divorce is final. In the meantime, you and your spouse are still co-owners of the property; you're just not married anymore. Your decree or agreement should detail how you're going to deal with the property in the meantime, as well as how you will divide the eventual proceeds. A primary consideration is which of you will continue to live in the home until it sells. If you have children, this is usually a pretty easy decision. You probably don't want to uproot them before you have to, so the custodial parent might stay in residence. If you get along reasonably well, you might be able to co-exist in the home until the sale date. You can both move out and rent it to cover the mortgage payments, but this option comes with some pitfalls. You'd have to show the house with a tenant living there, and your tenant might not present the property to potential buyers as neatly as you would. Who will live there is less of an issue if you already have a buyer but the sale won't close until after your divorce is final – the days are probably numbered anyway and you can leave it vacant. Ongoing mortgage payments become an issue if the sale of your home is delayed for several months or longer. If only one of you makes the payments, you're using post-divorce dollars, which are your separate property. Therefore, the resulting reduction of the mortgage's principal balance should be accounted for in your decree or agreement. The spouse who makes the payments should be reimbursed this money when the house sells. For example, if you pay the mortgage for nine months after your divorce is final and if $300 of each of those payments goes to principal, you've whittled down the loan by $2,700 and there's $2,700 more in equity. Rather than apportion all the equity between you, you could receive this $2,700 off the top, then divide the balance. Your decree or agreement can also include provisions for what happens if the spouse who is supposed to make the mortgage payments doesn't do so. This hurts the other spouse's credit, so he may have to make the payments himself. If so, indemnification language allows the innocent spouse to take the other back to court for reimbursement. Your decree or agreement should also address other ongoing expenses of maintaining the home, such as any necessary repairs. Explain whether you'll both chip in for these costs, which is generally easiest, or come up with some other way to deal with them. This can become an issue if the property doesn't pass inspection and you have to invest more money to get it sold. DADSdivorce: Divorce Tips for Men – What to Do With the House? 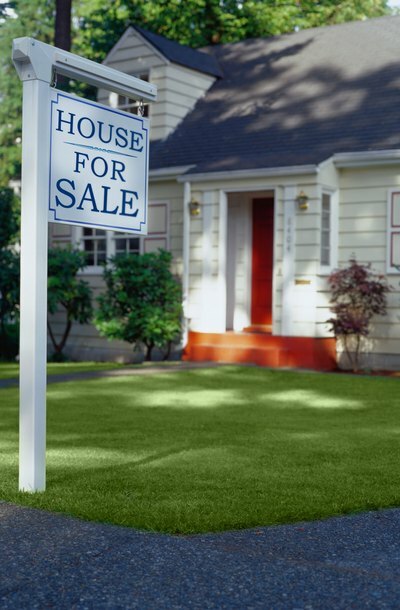 Can You Get Divorced Before Your House Sells? Since a house is often a couple’s most valuable asset, it can be a source of dispute when couples file for divorce. To simplify matters, you can try to sell your home before you file for divorce, but your local real estate market may not allow such a quick sale. If your real estate market is slow, you can wait to file for divorce or get divorced before it sells.